Discover the state-of-the-art chiropractic and laser therapy technology to achieve pain free, active and healthy living without drugs, injections or surgery. The chiropractic medicine of the future is here. 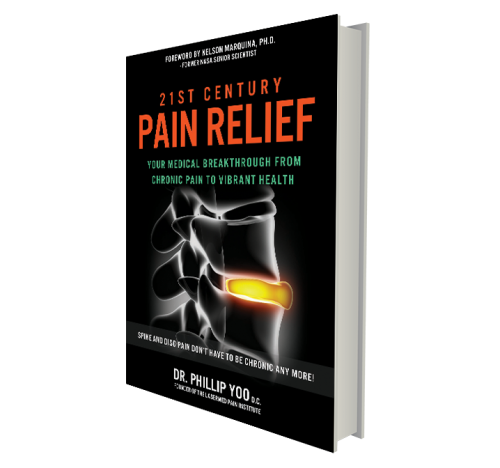 21st century LaserMed chiropractic pain institute treats chronic pain through state-of-the-art, pain-free, non-invasive, chiropractic and FDA-cleared laser therapies. Super-pulsed Chiropractic and Laser Therapies may help ELIMINATE BACK PAIN without the risk of painkillers or surgery. According to the National Institute of Health, eight out of 10 people will suffer from back and/or neck pain at some point during their lifetime. NIH also recommends seeking medical attention if such pain persists for more than three days. Our mission is to help you live pain-free and quickly regain your quality of life. In movies and TV shows, super-humans like Wolverine from “X-Men” or Superman have regenerative powers that enable them to rapidly repair themselves of any wound or injury. Wolverine could therefore stay young and agile indefinitely, and continue to save the world for years and years without ever wearing out. Though not quite as supernatural as accelerated healing and pain relief are now very possible thanks to chiropractic and laser therapy..
We use cutting-edge chiropractic and laser therapies to offer solutions to back pain. By simply applying these technologies – in addition to alignment and massage – to the afflicted areas while you lay prone and relax, it’s common to experience reduced swelling and inflammation, improved circulation, and total body relaxation. As a result, pain in the spine, disc, or sciatic nerve is typically greatly reduced or eliminated, so that everyday heroes like you can regain comfort and mobility enough to enjoy life for years to come. The 21st Century LaserMed Chiropractic Institute has turned countless skeptics into believers. 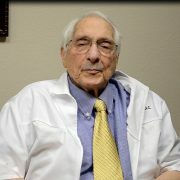 Our satisfied patients include engineers, doctors, nurses, former professional athletes, celebrities, baby boomers and seniors—people from every walk of life. 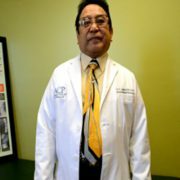 Some of them came to us with doubts about chiropractic and laser therapy, but were desperate to get rid of neck, back and sciatic nerve pain and hadn’t found relief with any other medication or procedure. A comprehensive exam and consultation with Dr. Phillip Yoo D.C.’s group is all it takes to determine if you’re a candidate for these cutting-edge treatments. Many medical doctors are big believers in chiropractic and laser therapy. Other, more traditional doctors are not always up to speed on this new natural medicines of the future and instead promote drugs, injections and surgery. Think about it like this … it wasn’t all that long ago that barbaric procedures like lobotomies, bloodletting or trepanation (drilling holes in the skull) were actually thought to be good for a patient’s health. We imagine that 20, 50 or 100 years from now, many of today’s common medical procedures like pills, injections and surgery will be considered just as cringe-worthy! 21st Century LaserMed Chiropractic believes that non-invasive medicine like chiropractic and laser therapy is the future of medicine. While modern light-based and magnetic medicines may sound space-age, they’re grounded in long-standing principles grounded in the healing power of light and chiropractic therapies. To understand how it works, it’s important to begin with the origins of back pain. Chronic back pain can stem from a number of conditions or diseases. Bulging or herniated discs, degenerative disc disease, sciatica or arthritis to name a few could all be to blame for the painful symptoms you’re experiencing in your back. A sudden injury to the muscles, ligaments, bones or nerves in the spine is usually the cause of acute pain in the low back. A bulging disc distends out from between the vertebrae and presses on the spinal cord and nerves, causing mild to intense pain. A herniated disc is a rupture in the outer layer of the disc, causing the gel-like inside of the disc to bulge out of its protective casing. This releases a chemical that causes nerves to swell. While a herniated disc itself is not always painful, it can lead to other physical issues like pinched nerves, bulging discs, and sciatica. Sciatica is a series of symptoms, including pain caused by compression or irritation in a spinal nerve root or a sciatic nerve that in turn results in pain, tingling, or numbness traveling from the lower back down the back of the leg. 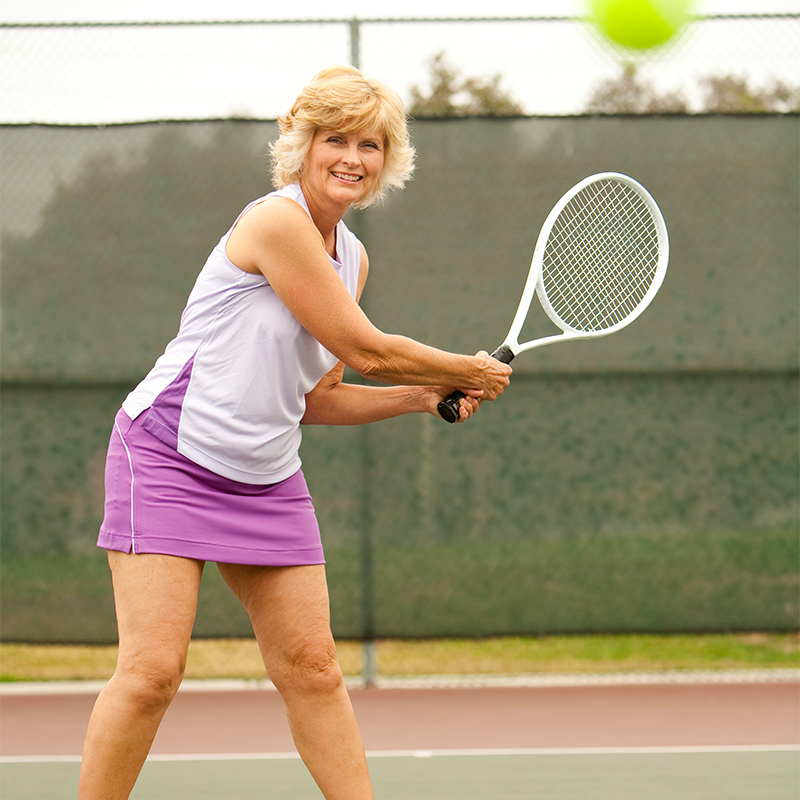 Degenerative disc disease is the result of the natural aging process. As we grow older, the amount of water in the spinal discs reduces, causing the spine to become stiffer and less able to absorb shock. Most people will experience this degeneration by age 60, and in severe cases it is accompanied by disabling pain. Regardless of its origin, most cases of back or nerve pain can be effectively remedied by laser and/or chiropractic and laser therapy. Unlike pills, epidurals, or other temporary fixes, chiropractic and laser therapy have the capability to actually heal the problems your back pain is stemming from. Your treatment will usually start with using Arthrostim or Impulse iQ instrument assisted computerized chiropractic adjusting which helps to gently align the spine. This is often coupled with Spinal Reflex Analysis Laser adjusting technique. 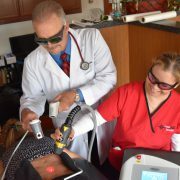 Patient experiences the benefits of the hand-held super-pulsed laser. Einstein’s Quantum Theory of Light can in many ways be credited with the advent of modern laser technology in medicine. 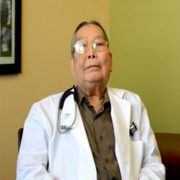 The basics, such as the importance of Vitamin D from the sunlight and lights ability to heal wounds is common knowledge. Yet, light’s impact on medicine is growing exponentially with the integration of various forms of laser into medical procedures. 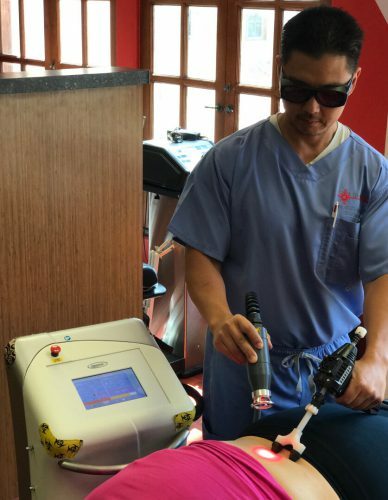 Medical-grade, non-invasive laser therapy harnesses the healing power of light into a strong beam, enabling the light to penetrate deep into the damaged tissue, generating a photochemical response. 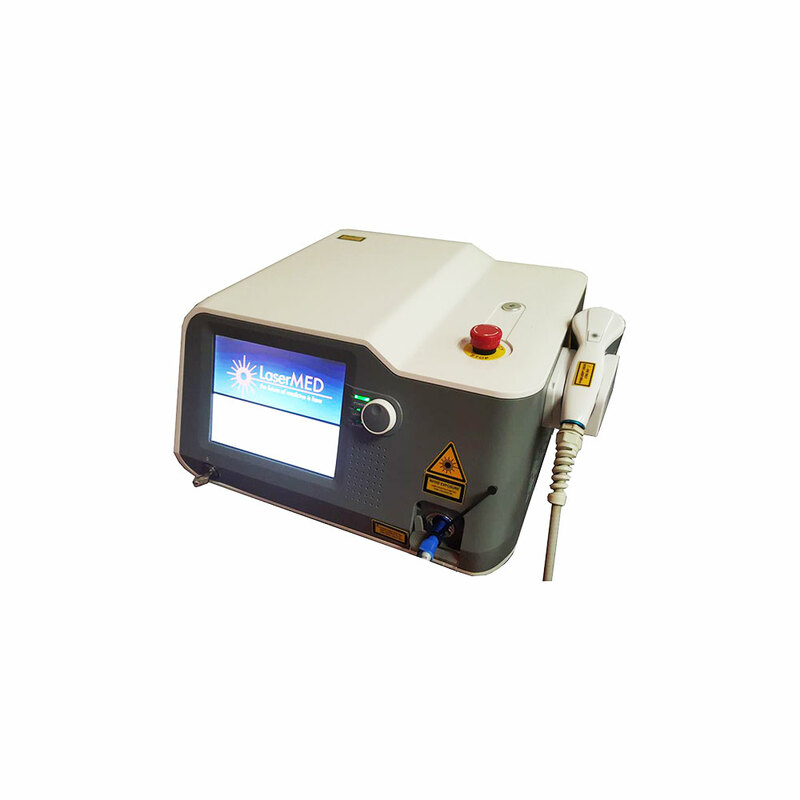 The laser beam is super-pulsed to safely and effectively stimulate healing, improve circulation and reduce inflammation. 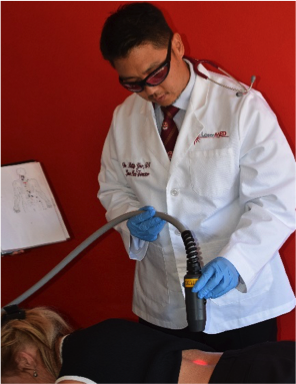 Dr. Yoo D.C. and the LaserMed team use 30-watt, 250-watt and M6 MLS robotic laser technologies to treat chronic back, neck and disc pain. There are many other treatments out there that have a high success rate, but still have a margin of failure. However, when these options are combined with the laser therapy, they are worth trying again. 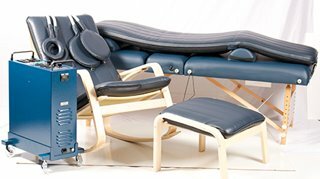 Our combination treatments use laser to enhance more traditional treatments, to increase effectiveness and foster faster rehabilitation. 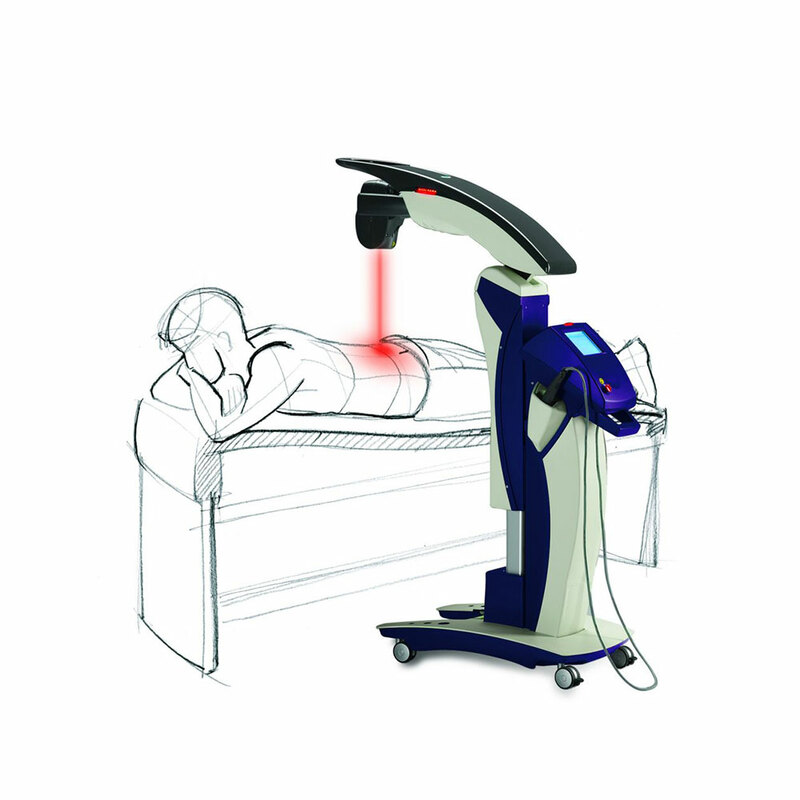 The Graston Technique with Laser Therapy: A form of instrument-assisted soft tissue mobilization that helps break down scar tissue and promotes a healing environment through cross-friction massage. This is followed by a laser treatment that repairs the area at a cellular level and increases the rate of healing. 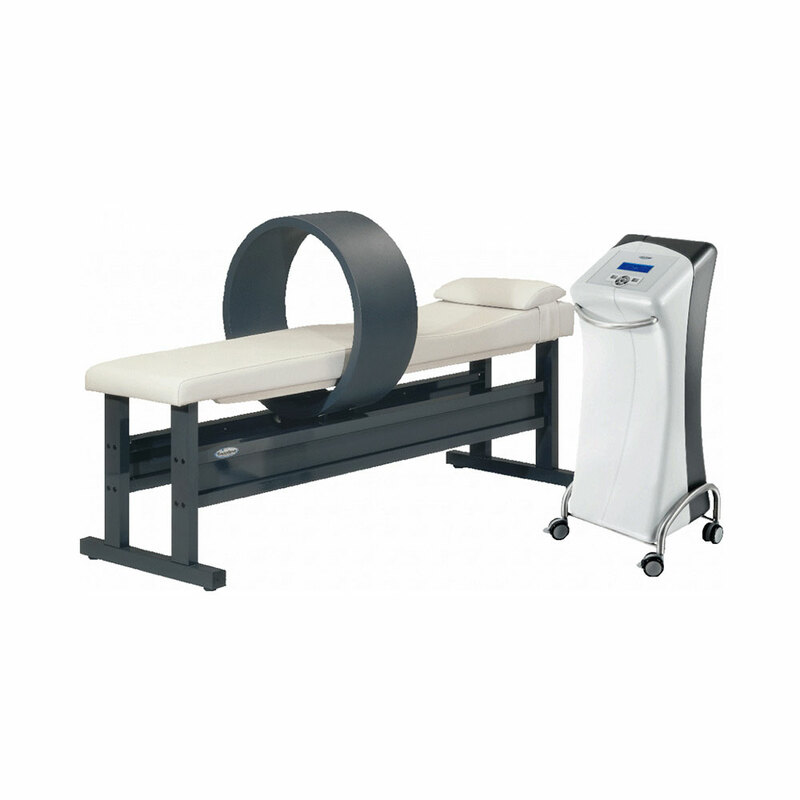 Spinal Decompression with Laser Therapy: A treatment performed on a decompression table, which uses alternating traction and release forces on the spine to gently coax the disc to reform to its proper shape. This opens up disc space in the spine, which allows photonic energy from the laser to penetrate between the vertebrae and target the damage with more precision. 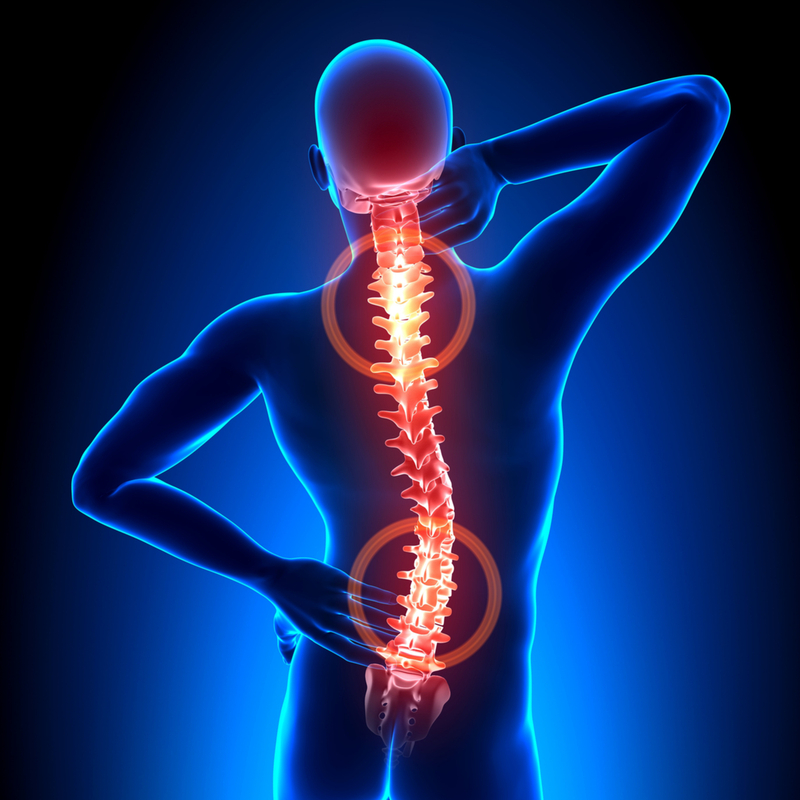 Spinal Reflex Therapy with Laser Therapy: Starts with Spinal Reflex Analysis, which helps to pinpoint the root causes of nerve dysfunction and chronic pain syndromes. Spinal Reflex Therapy combines specific instrument assisted chiropractic adjustments with the Lumix 250 Watt super-pulsed laser to relax contracted muscles, reduce residual areal tenderness, and heal from the effects of spinal reflex. Is Chiropractic and Laser Therapy Right for You? Here’s the deal: the only way to know if Chiropractic and Laser Therapy is right for you is to visit us for a consultation/exam. While we can’t help everyone, 21st Century LaserMed Chiropractic Institute has hundreds of clinical case studies on file that you can review where our happy patients have shared, in their own words, their experience with Chiropractic and Laser Therapy.